Have you ever heard of Parker the Reindeer? What do you mean Santa already has enough reindeer?! We found this gem at the store the other day and Parker sported it at our extended family Christmas yesterday :) If you are thinking "poor dog", think again. Parker absolutely loves wearing sweaters. Whenever I hold one up, he comes running to put it on. I love it! I think the 14 inches of snow we got last weekend might have something to do with him enjoying an extra layer. He is not a fan. My cousin, Jessica, on the left. 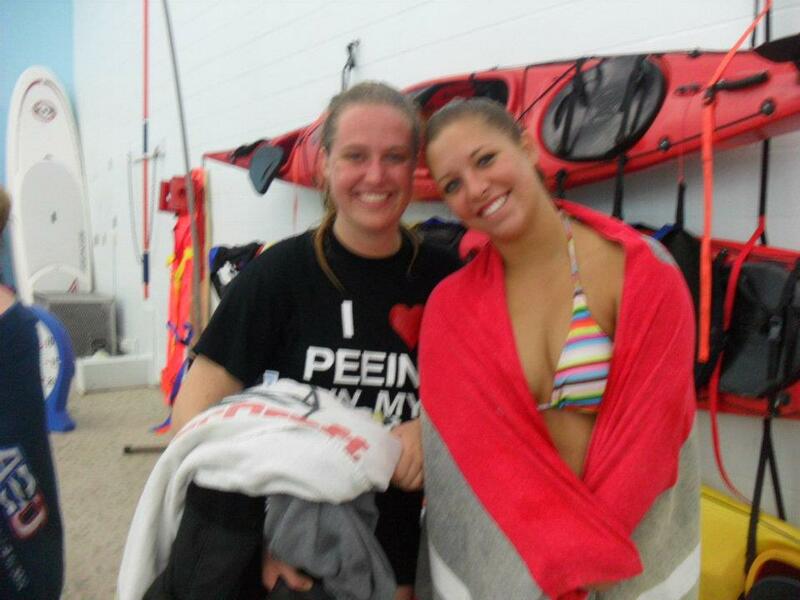 You can't even see the entire shirt in the picture, but I knew exactly what it said "I <3 PEEING IN MY WETSUIT". This shirt makes me laugh SO hard! Water-skiers never admit to peeing in their wetsuits... but everyone secretly does it... Right? She remembered me commenting on her photo and gave me my very own shirt for Christmas! 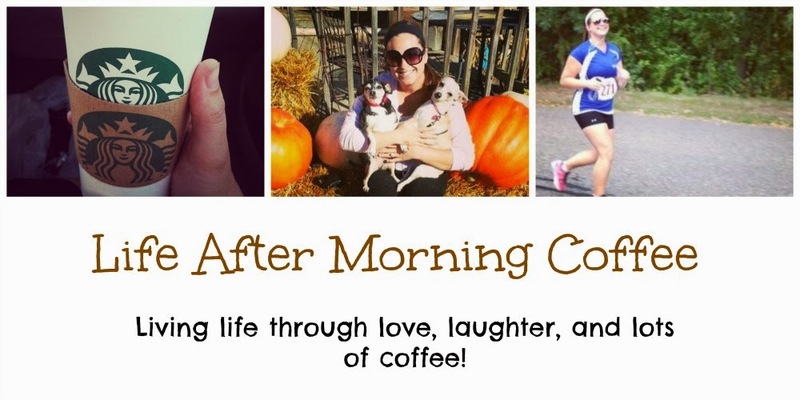 My aunt loaded me up with K-Cups of coffee and apple cider - perfect! They will definitely be used up in this house. Is anyone else having the hardest time thinking of Christmas gifts for family and friends? Mr. Terry won't give me any good ideas and I feel so incompetent for not being able to think of anything fun! Hope everyone is having a fantastic and relaxing weekend! I want to send out a huge congratulations to one of my BEST friends (another beauty in my bridal party), Mackenzie, who is graduating college today! I am so proud of you!